As a card carrying man its a bit difficult to enjoy pink drinks, at least in public. But, my friends, after a week of experimentation I can assure you that the Cosmopolitan is well worth swallowing your pride for. This week was particularly well suited for analysis and experimentation. In my initial search for recipes an interesting trend came the surface. There seem to be two general families of Cosmos. The difference between the families is the amount of cranberry juice each utilizes. The recipe I started the week with (Gary Regan’s) is part the cranberry for color family. The second is the cranberry for flavor family. The first recipe I played with was Gary Regan’s from the Joy of Mixology. I found this recipe to be extremely well balanced and the citrus and sweet components were perfect. I think it can best be described as a Margarita for people who don’t like Tequila, which isn’t particularly surprising given the similar ingredients. Further spurred on by Matt’s suggestions I decided that this would be a good recipe to test the effects of using regular vodka in place of the suggested citrus vodka. On the initial nose the two cocktails are indistinguishable. The flavor on the other hand is more complex with the addition of the citrus vodka. That said, the use of regular vodka in no way makes this a bad cocktail. In fact, in the cranberry for flavor recipes I think the citrus vodka is nearly covered anyway and as such I’d recommend using whatever vodka you like. 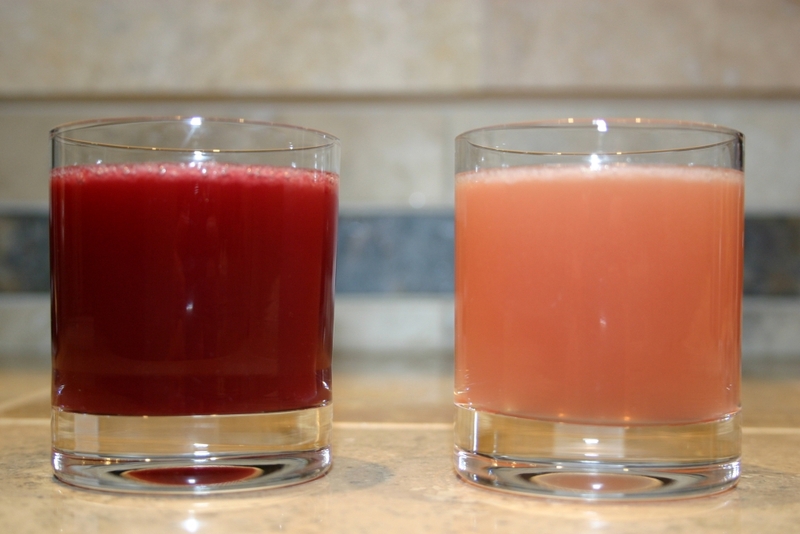 My next side by side comparison utilized a cranberry for flavor recipe and compared whether its worth using pure cranberry juice or if cranberry cocktail should be the choice. In the picture above the cocktail on the left I made using cranberry juice and the one on the left using cranberry juice cocktail. The first thing you’re certain to notice is the much deeper red color that the pure cranberry juice produces. The resulting flavors are also quite different, but both very good. The pure cranberry juice is more tart and offers a much more intense cranberry flavor. Additionally the tartness causes you to slow down in your consumption which is not an all together bad thing at times. The cranberry juice cocktail on the other hand produced a less tart, sweeter cocktail with a less intense cranberry flavor. This drink is much more drinkable. In these proportions the percentage of alcohol is low enough that the drink will freeze if placed in a freezer (I found this one out by accident). I mention this because I think this recipe could be used either as a punch or as a basis for a punch. 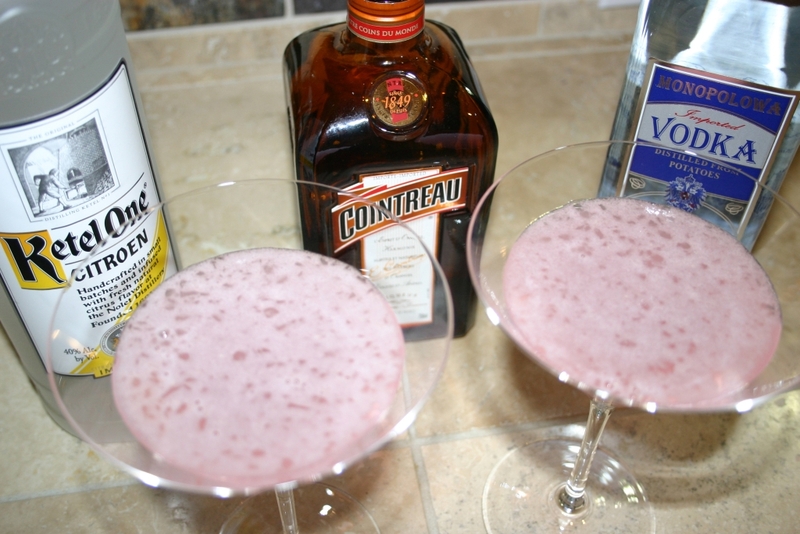 To summarize this experiment I would suggest using cranberry juice cocktail if you’re looking for a drink that is sweeter and puts more emphasis on the lime and cointreau flavors. If you’re looking for something a bit more tart and complex definitely give the pure cranberry juice a go sometime. If you’re making a recipe from the cranberry for color family I think the real cranberry juice is worth the extra cost as it yields a cocktail with a much deeper color. However, one final note. Pure cranberry juice is a little on the pricey side (mine was about $9 for a bottle) and I can’t really envision anyone drink the stuff straight so you might want to freeze some or plan to mix it with something else so you don’t waste what’s not used in your cocktails. So the final Cocktail Hacker verdict for this week is that I like two recipes. One from each family. From the cranberry for color family I like Gary Regan’s recipe from the Joy of Mixology. And from the cranberry for flavor family I like the simple recipe (#1) from Difford’s Guide. So, if you’re a bit worried about ordering a pink cocktail you certainly have nothing to fear in this one. The Cosmopolitan is a fantastic cocktail that is well worth your time. Plus, you’re comfortable in your manhood and you can drink whatever you damn well please. And if anyone gives you any crap, finish off your Cosmo, then use some of your ninja moves you learned from late night TV on them. They’ll never mess with the crazy guy again. Excellent work gentlemen. Question for you – where do you get pure cranberry juice? It is a tasty tasty drink. I found it in the natural foods aisle at Safeway. There were a couple different brands.